In this article, let me show you how to let go of the pipe dream of BIG Data and show you how to make immediate improvements in your practice, lower your stress levels and prevent physician burnout by mining the Skinny Data lying all around you right now. You have probably heard a lot about BIG Data in healthcare and the glowing promises it offers that are always just beyond the horizon. Big data is the snowdrifts of information piling up from the daily entries into millions of Electronic Medical Record programs. Piles and piles of it just waiting for a big budget and a brilliant programmer to mine it for breakthroughs in the delivery of healthcare. You know ... THAT BIG Data. It is the latest snake oil cure all for everything wrong with EMR and data collection in healthcare. 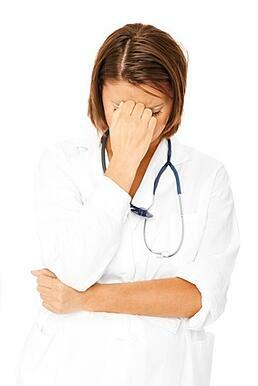 Doctors hate EMR ... it is a dramatic driver of physician burnout. IT Geeks tell us that the BIG Data it generates is going to make the day to day brain damage worth it in the long run. 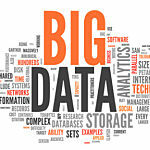 BIG Data is a solution looking for a problem - at least here in 2013. In many cases the BIG Data Guru's don't even know how it will be used or what answers will be discovered ... just that, when it comes, it will be ... well ... BIG. I recently heard the term Skinny Data on the Hospital EMR & EHR Blog in a blog post by John Lynn here. Let's look at this much more useful concept in this article. For the average practicing physician, the power is in Skinny Data. Skinny Data is the pieces of information sitting around you all the time like dust bunnies in the corners. Skinny Data is the collective experience and opinions of your colleagues, staff, patients and co-workers. No computer program, no big budget, no advanced degrees in boolean logic required. Skinny data is not a solution looking for a problem at all. Skinny Data can be the solution to any number of problems that are causing you excess stress and increasing your risk of physician burnout in your practice day right now. It is always interesting to me to notice that most of the problems physicians experience in their practice have nothing to do with direct patient care. The things that stress doctors out are almost always patient flow issues. Paperwork, documentation, getting people in and out of the rooms and OR's in a timely fashion, personnel issues and the like. Once doctors are in the room with the patient for those magical 15-20 minutes ... everything is right as rain. The challenges occur outside the exam room or OR. This is where an additional level of Magical Thinking prolongs everyone's suffering. You probably have any number of issues you would like addressed in your practice this week. And you are waiting for someone else to "fix them" for you. With most physicians in the USA now employees ... it is a natural assumption that the administration of your employer would take care of your patient flow issues ... right? Well, no matter how much you wish it was true ... we both know there is nothing happening right? Let's say you would like to improve your practice by setting up a system that guarantees patients get lab call backs within one working day. You have had this goal for a while and your current system is just not getting the job done. Your vision of the solution is ecapsulated in the sentence. "All patients receive their lab results by the end of office hours on the day after their visit." You are not the only person with this issue in your group or your community. Mining UP the chain involves asking your questions to colleagues. You want to learn what they are doing to address this issue in their practices. If you wish you can think of this as researching "best practices". Mining DOWN the chain involves asking your staff what they would suggest as ways to reach this goal. You are looking for suggestions from your existing team on improvement steps they see inside yoiur current system. The most powerful Skinny Data Mining Tool is an open ended question - a question that starts with either "WHAT" or "HOW". Here are a couple of examples. What system do you use in your practice? How have you addressed this in your practice? What did you learn along the way ... things to avoid? What is one thing you would do differently if you were starting from scratch? What are we doing now that works? What do you see that we can do differently? What do you see as your role in this new system? What role do you see me playing? Your job is to use all the data points to create an improvement plan and put it into action. I have written previously on how to become a true team leader. Here is how to put your Skinny Data into action. At this point you have all you need to throw an improvement project into gear. Skinny Data Mining Complete ... you are one meeting away from an action plan and a Launch of your Pilot Project. You have taken a small piece of your destiny and the quality of your office day into your own hands. The example above is just that ... an example. The power in this process comes when You take a look at the challenges you are facing in Your Office/Hospital Day and get started on your own Skinny Data Mining and Improvement Projects. 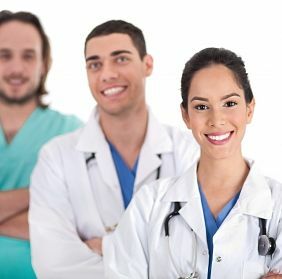 I assure you, no one is coming to your rescue and you and your team are fully capable of designing and deploying more effective systems that will lower everyone's stress and help prevent physician burnout. If you would like support and/or a second pair of ears and eyes to help with your practice challenges ... contact me directly and we can set up a phone or Skype consult (at no charge) to get you headed in a better direction. What are the biggest challenges you would like addressed in your practice? How do you see that Skinny Data Mining might help?